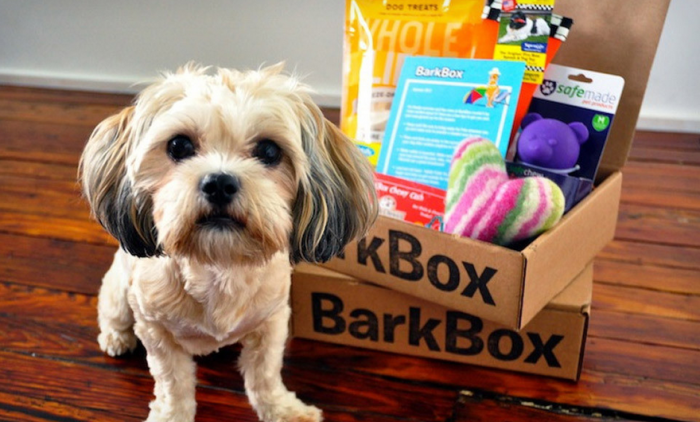 The subscription box business model is still taking the eCommerce industry by storm, but budding subscription box business owners are still struggling with something pretty crucial: product curation. Established subscription box businesses can rely on a steady demand for their products, so they’re in a better position to order in bulk from large manufacturers and retailers. But the vast majority of startup subscription boxes don’t have that luxury — nor do they have the funds. So what’s the alternative? When it comes to finding a product source that’s not too demanding, yet offers something unique, indie manufacturers (otherwise known as independent manufacturers) offer the ideal solution. These suppliers are usually active on eCommerce marketplaces like eBay or Etsy, which is now home to more than 1.6 independent such sellers across the globe. Partnering with manufacturers of this type offers numerous competitive advantages to subscription box owners. Let’s explore them all below. To begin with, indie manufacturers are typically cheaper than more established suppliers. The main reason for this is the fact that independent suppliers typically have lower overheads and a less costly infrastructure, which in turn allows them to place a more competitive price on their expertise. As sites such as Etsy have continued to break down market barriers and allowed indie manufacturers to reach a global audience, we have also seen the independents gradually increase their share of the market. This creates more intense levels of competition that cause prices to fall organically, helping subscription box owners to achieve far greater value for money (this is similar to the trend that has gripped the energy market in the UK, where independent suppliers have increased their share by 50% and sent prices tumbling nationwide). In some cases, these savings may enable you to reduce your own sale prices while still increasing profitability. This is a win-win scenario for everyone involved, and one that highlights just why independent manufacturers have achieved such growth. On a similar note, the customer-centric nature of independent manufacturers makes them far more giving and open to the influence of negotiation. After all, they do not have a bankroll of millions or lucrative long-term contracts with corporations to sustain them, so they must instead be willing to compromise if they are to maintain the desired levels of cash flow. This is ideal for subscription box owners, as it creates leverage that allows them to get the best possible deal and financial terms. This translates into far better value for money, while some brands may even share these savings with customers by reducing their prices. Dealing with independents also offers subscription box owners an opportunity to thoroughly test and appraise the quality of individual products before making a financial commitment. This is because the open-nature of indie manufacturer and their eagerness to negotiate means that they are far more likely to offer free samples, which can in turn be inspected for quality, consistency and the speed of delivery. If we accept that indie manufacturers usually promote themselves and their products through global online marketplaces, it stands to reason that should be far easier to connect with in the modern age. If we take Etsy as an example once again, the site has a search algorithm that enables you to seek out potential manufacturers according to a wide range of criteria. These include location, processes and types of materials used, along with the finished range of products that you manufacture. For box subscription owners, this creates a refined and detailed search that can be completed in a matter of moments, reducing the time required to find potential partners. It is also fair to say that independents are also easier to build a relationship with, as their simplified and flexible business models enable them to place a greater emphasis on engaging with clients and exceeding their expectations. So rather than dedicating themselves to maximizing output and meeting the demands of shareholders, they have a customer-centric focus that can build rapport over time. Even if your subscription box business uses an all-in-one ecommerce solution like Subbly (which allows you to create and manage your store from a single platform), it is still wise to capitalise on organic marketing opportunities as they arise. Thriving independents can help with this, as they are likely to have a strong social media following and dedicated audiences on image-led channels such as Instagram and Pinterest. So whether they allow you to access their social media followers or afford you mentions in relevant Instagram and Pinterest posts, there is an opportunity to extend your reach and generate leads through independent suppliers. As we have already said, indie manufacturers are not bound by huge overheads or constantly squeezed profit margins, nor are they tied to the type of rigid system that drives mass production. This offers huge benefits to subscription box owners, as it creates a flexible and adaptable model that has the capacity to offer bespoke solutions at all times. This is particularly important in the subscription box market, as part of its immense popularity is the level of personalization that can be offered to customers. If independent suppliers allow you to customise your offering further, this could give you a huge competitive edge over your rivals. This may relate to the precise nature of your products or the way in which they are packaged, but there is no doubt that independent manufacturers offer greater flexibility in terms of bespoke offerings and responding to the ad-hoc demands of individual customers. So there you have it; five compelling reasons why indie manufacturers are a subscription box business owner’s secret weapon. Even if you put pricing to one side, the benefits revolving around long-term partnerships, bespoke solutions and free samples are enough of a reason to reach out to some Etsy or eBay independent manufacturers. Do you know of any other reason to use independent manufacturers over corporate ones? Share your views in the comments below!